Whitsunday Anglican School has launched its own App. Delivered through Digistorm, the application has the ability to receive push notifications (instant alerts) and updates about co-curricular events and activities through your smartphone or device. The Whitsunday Anglican School App can be downloaded from the App Store (Apple devices) and Play Store (Android devices). 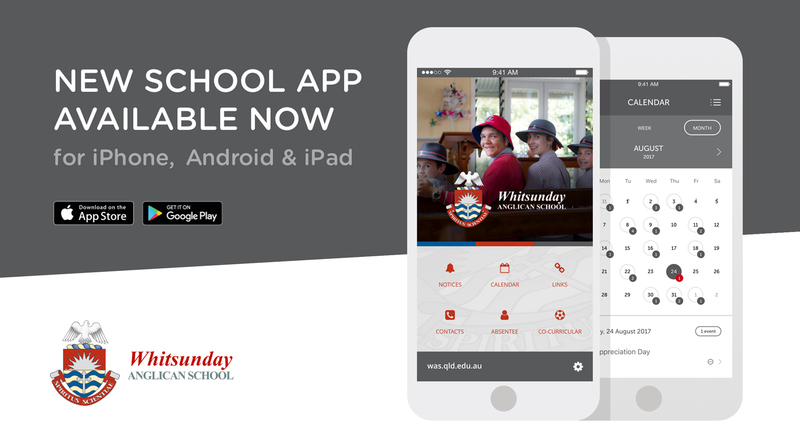 For more information about the Whitsunday Anglican School App, please contact us here.